Ahmadi, Amir. 2017. On the coherence of Yasna: A critical assessment of recent arguments. Bulletin of the School of Oriental and African Studies 1-26. In recent years a number of scholars have proposed more or less detailed schemas of the formation of the Zoroastrian ritual. These schemas offer accounts of the arrangement of the texts in the liturgy, the process of its formation, and even its function from an endogenous perspective. One way or another, they argue that the official Zoroastrian liturgy is an integrated ritual with a coherent text, and that the function of the ritual and the intention behind the arrangement of the texts can be determined by means of philological, literary and comparative analyses. The questions of formation and meaning of the Zoroastrian liturgy these scholars have placed on the agenda are important not only for the study of Zoroastrianism but also for the history of religions and ritual theory. I consider their accounts with respect to the texts they invoke and the methods they use, and show that their arguments suffer from fatal flaws. Cantera, Alberto. 2016. A Substantial Change in the Approach to the Zoroastrian Long Liturgy: About J. Kellens’s Études avestiques et mazdéennes. Indo-Iranian Journal 59(2). 139–185. Between 2006 and 2013 J. Kellens published in five volumes (the last one together with C. Redard) a corrected version of the text edited by K.F. 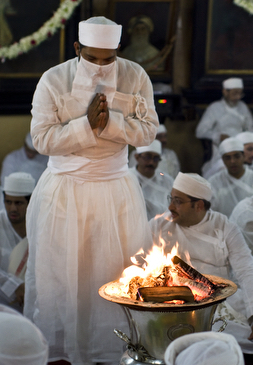 Geldner of the longest and most important Zoroastrian ritual usually known by the name of one of its variants as the Yasna. The text accompanies an experimental translation and both are followed by a commentary. J. Kellens is pioneering in translating and studying, not only the standard daily variant of the liturgy, but also its more solemn version. Furthermore, his work is the first attempt to read the complete text of the liturgy as the coherent text (although produced at different times) of an old and meaningful liturgy, although it has been traditionally understood as a late composition. As it appears in the manuscripts and is celebrated still today in India, the liturgy is the result of a series of conscious interpretations, reinterpretations and rearrangements of older versions. Despite of this, it is a coherent text and ritual in which each section of the liturgy plays a concrete role that J. Kellens has tried to bring to light for the first time. In the present review, I try to highlight the extraordinary importance of Kellens’ new approach to the Zoroastrian Long Liturgy and to expose his main achievements. At the same time, I expose the main weaknesses of this monumental work: 1. its dependence on the text edited by Geldner, which hides part of the ritual variety of the Long Liturgy; 2. the conscious disregard of the meta-ritual information provided by the Zoroastrian tradition about the performance of the liturgy; 3. J. Kellens’s Yasna-centrism that prevents him to recognize the close connections between the Long Liturgy and other minor rituals and the participation within the Long Liturgy of many short rituals that can be celebrated independently. Alberto Cantera is a scholar of Ancient Iranian Studies and Avestan and Middle Persian Philology and Codicology. He is the director of the Institut of the Iranian Studies at the Freie Universität Berlin. The newly discovered Avestan manuscript contains an illuminated Yasna ceremony and belongs to the Dinyār family in Yazd, Iran. Prof. Alberto Cantera has already confirmed that the new manuscript is a Yasna manuscript. The only other known Yasna manuscript of a comparable age is kept at the British Library. Even though the manuscript has no colophon, according to Alberto Cantera it is most probably by the hand of Mihrabān Anōšīrwān Wahromšāh and should be dated around 1630. The scribe’s hand as well as the illuminations also show a close relation to the Vīdēvdād Sāde of the same scribe, dated to 1647 CE / 1016 Y, kept today in the British Library. 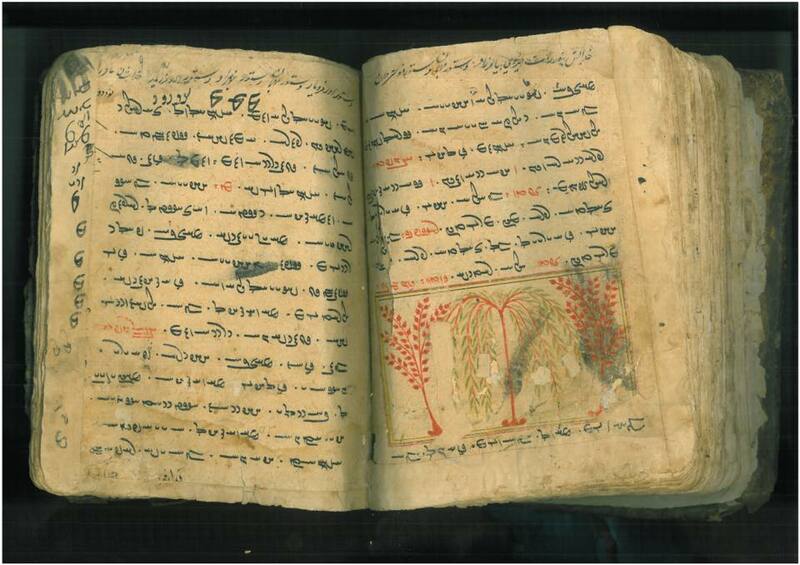 The discovery of this manuscript was announced by Dr. Saloume Gholami on Facebook. Prof. Alberto Cantera and his team at the Avestan Digital Archive (ADA) project seek to publish and make the manuscript available publicly. Yasna manuscripts contain the long liturgical text recited during the daily performance of the Yasna, the central ritual in Zoroastrianism. It was originally composed in the ancient Iranian language of Avestan between the 2nd and 1st millennia BCE. Different types of Yasna manuscripts are available, those transmitted with the Pahlavi translation (i.e. Pahlavi-Yasna), those without a translation (i.e. Yasna Sāde) and those with the Sankrit translation (i.e. 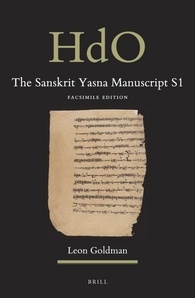 Sanskrit Yasna). Among the manuscripts of the Pahlavi-Yasna one can distinguish two lines of transmission, namly the Indian Pahlavi-Yasna and the Iranian Pahlavi-Yasna.